This Bonnet Equajet Combination Oven has a capacity of 240 meals per day, perfect for meduim to lage establishments. 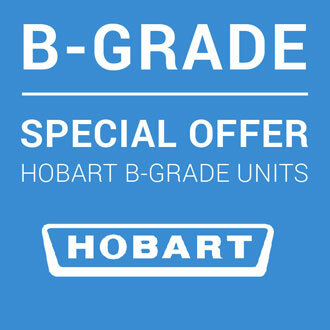 Hobart havd cleverly designed this unit allowing 100% of the space to be used. The Bonnet Equajet Combination Oven offers 6 different cooking combinations at one time. This 6 & 6 stacked Grid model is perfect for larger establishments and kitchens that require a high output of food. The Bonnet Equajet can store up to 100 personalised recipes and provides excellent energy saving technology whilst guaranteeing consistent cooking results. The Bonnet Equajet Combination Oven offers 6 different cooking combinations at one time. This 6 & 10 stacked Grid model is perfect for larger establishments and kitchens that require a high output of food. The Bonnet Equajet can store up to 100 personalised recipes and provides excellent energy saving technology whilst guaranteeing consistent cooking results.